Imagine a place, so high in the mountains that you can almost touch heaven. And caverns so deep you feel the heat of Mother Earth’s core. This is Chiapas. A land of contrasts and startling beauty. And I get to explore it!!! 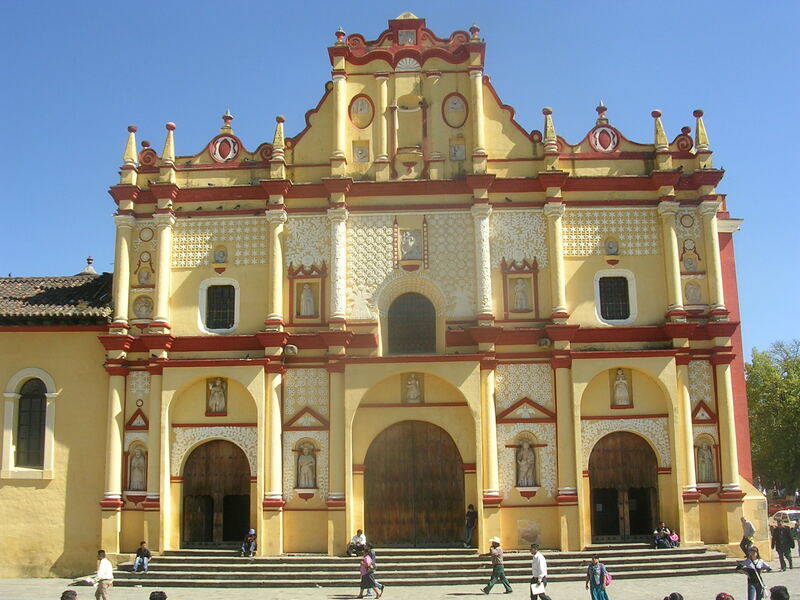 San Cristobal de las Casas was recently declared a Magic town by the Mexican government. And it really is magical. It is a city alive with history and yet modern at the same time. It is a young city – the average age is 20. Every corner has an ancient church surrounded with beautiful squares where people connect and share their daily lives. 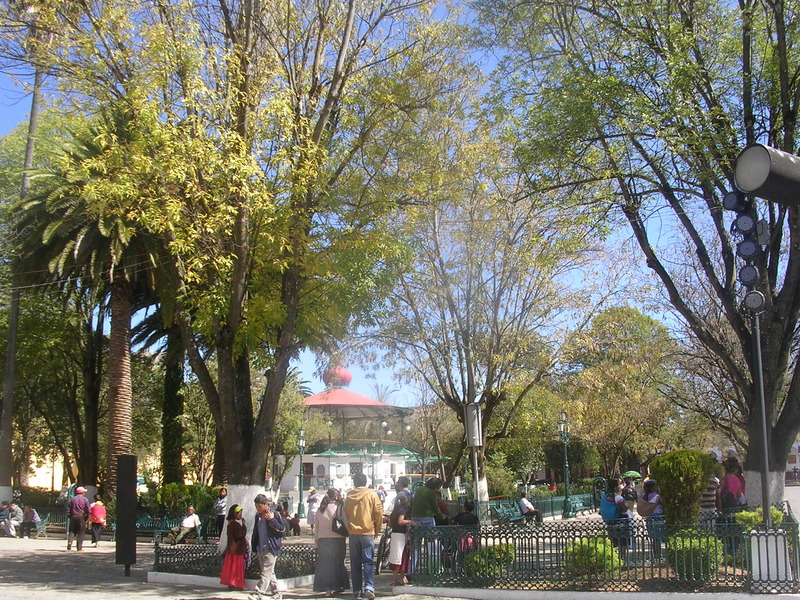 There are 86,000 people here but it has the friendliness and relaxed atmosphere of a small town. We have walked for many hours and have not yet discovered an area that we wouldn’t be delighted to live in. Exploring over the next few weeks will be so fun! Today we showed up at a church square just in time to join a school presentation of dance & music & singing. The kids were doing traditional dance with fancy costumes – but they did it with humourous twist. Lots of flirting and fun. Teens are the same everywhere; it was fun to watch them act just like they would at home. The tourists here are almost all from Europe, mostly from France, Italy or Germany. The Chiapan people are really short so the foreigners stand out. Even I am tall here! You seldom hear English. Many young hippy kids come here and it appears that lots of them they stay. They appear in the standard dresscode of dreadlocks or partially shaved heads and ratty clothing, and many tote guitars or other instruments. 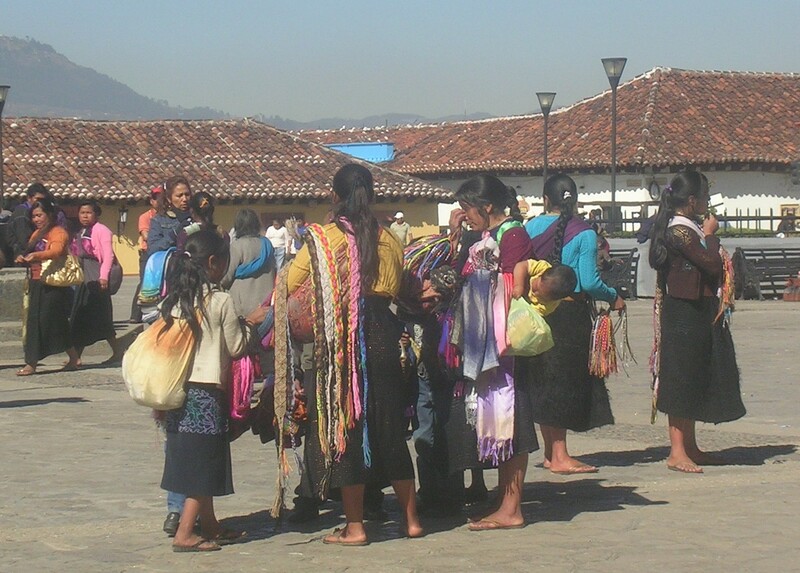 A high percentage of the population is Indigenous and many speak dialects rather than Spanish. We bought a blouse from an older lady today who couldn’t speak or understand Spanish and she couldn’t count money. The illiteracy rate is very high here especially in the smaller communities. The primary schools are now bilingual, teaching both dialects and Spanish. Generally the children speak more Spanish than their parents do. The people in the small towns are lucky to complete primary school. There is still a lot of poverty and discrimination. 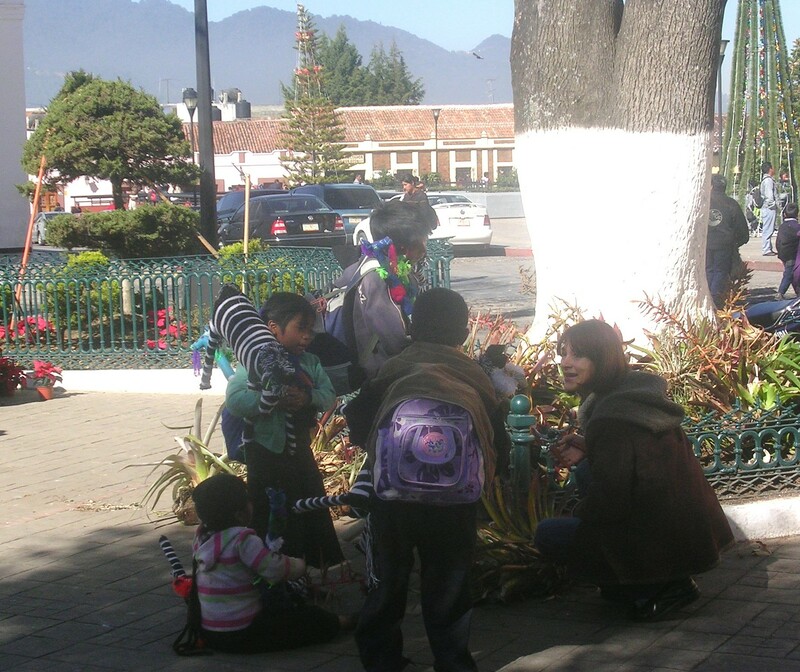 Although it is against the state law for children to work, the municipality here gives the parents permission for their kids to work. So there are kids that can barely walk selling souvenirs all over centro. Doesn’t make much sense to me. We bought a pair of shoes for a snotty-nosed munchkin who was walking around in the cold with barefeet. She was scared but after I put a shoe on her little flat foot, she timidly stuck out her other one. The shoes fit her, and she gave me a shy little smile. I guess she must be six because she was missing her two front teeth. Later on we saw her running around happily in her new shoes! Many of the girls that are around 6-14 have baby brothers or sisters on their backs. The older ones have their own babies. The boys often have at least one younger sibling in tow. Plus they all pack lots of merchandise to sell. They are strong with great survival skills, which they need for their world here. We are busy feeling sorry for them but these salesman kids run around laughing and skipping and enjoying themselves. They have a freedom that our kids will never know. But they won’t have much opportunity to live a different life than their parents do, mostly because of the lack of education. Who knows what is best? Great to read your blog, Sue. Truly a different world. Fascinating to hear your stories and musings. I have been there with brother Peter Sue – loved it. Cold at night! Keep posting. I’m happy to be in Sue and Vilo’s world! I like your post Sue….and I’m very happy to read it. I hope that I can read many more.